For graduating as parents, you need to attend few childbirth education classes. Yes, to your amazement or relief there are childbirth classes that teach you the first steps to becoming a parent. These classes are not only for pregnant women but also for dads to be. When should you take a childbirth class? You can take them any time you want to after you know for sure that you are expecting. Perhaps some pregnancy classes might want you to come more than once. Others may tour your once through the entire procedure of the big day. Depending on what all they are offering and cost of birthing classes you can decide when to start. There are different types of childbirth education classes. Most of them focus on particular exercises, breathing techniques, and pain relieving methods. You must consider a lot of things before choosing a childbirth education class. Why should you join childbirth classes? What do you learn in a childbirth education class? How to choose the right birth class? What are the types of childbirth classes? 1) What does Lamaze method mean? What should you ask before joining a childbirth education class? How to find a childbirth education class? You may want to know the benefits of childbirth education classes before thinking about them. Prenatal classes such as Lamaze classes teach you techniques for easy childbirth. They give an opportunity to see and experience what will happen on the big day. Discovering various methods, positions, tools, and activities for birth. Choosing them in time will help you formulate your birth plan. Every childbirth coach is different, but they teach you with a common goal. The goal is to help you have a natural labor and a healthy delivery. They will teach you about the various options that will enable you to make an informed decision. You can give birth while lying down, sitting on a stool, in the bathtub or squatting. There are various other tools available at different birth centers such as birthing bars, and huge showers to help you. But if you are not aware trying out things during labor pain is next to impossible. You’ll be reluctant to do anything unknown when in pain. Types and effects of epidural will be an essential part of any childbirth class course. They will tell you about side effects of painkillers. Also you will know until when you can avoid and when it is necessary to take analgesics. The childbirth educators will tell you about the three stages of labor. During rehearsal you will go through what all will happen during each stage of labor. You will also learn about breastfeeding and other things for managing your baby. The importance of giving skin to skin and breastfeeding are common topics taught at pregnancy classes. You will learn about c section, and delivery complications. Other important thing you get to learn in prenatal class is augmentation or induction of labor. During the birthing class you will learn about foods to avoid before labor. Other essential information is a part of curriculum of any pregnancy class. You must consider the following factors to choose the right childbirth education class. Form of teaching and ideologies: Whether the class is entirely online or you have to visit the center. There are prenatal classes that provide online support and also conduct sessions. If you are not willing to go out, then consider online childbirth education classes. It is crucial that you go for a pregnancy class that supports your vision about childbirth. You can land up in a class that teaches about natural birth while you already want a c section. Duration of childbirth classes: If the course is too long or very brief it might not benefit you much. The timing of class also matters. If it does not suit your convenience, then it is pointless. Childbirth education classes cost: A costly course may be taxing for some of you. If the class does not fit in your budget, consider other options. Your childbirth class partner: Whether or not the childbirth educators allow your doula to come along is essential. You must decide on one partner to go along with to the classes. Size of class: A small class allows each one of you to get enough time. Size of the batch matters a lot as you are there to learn fine skills. Breathing techniques are something that the trainer must carefully observe and correct. A batch size of 6-10 couples is best for effective learning. There are different types of prenatal classes to choose from. The Lamaze method of childbirth started way back in the 1950s. The practice started off coaching women special breathing techniques for labor. Now the vision of Lamaze International is to empower women to be able to give natural birth. Lamaze classes believe that it is the right of a woman to give birth with only consented intervention. But they do tell you about the various pain relieving methods. After taking the class, you’ll know every aspect of birthing. 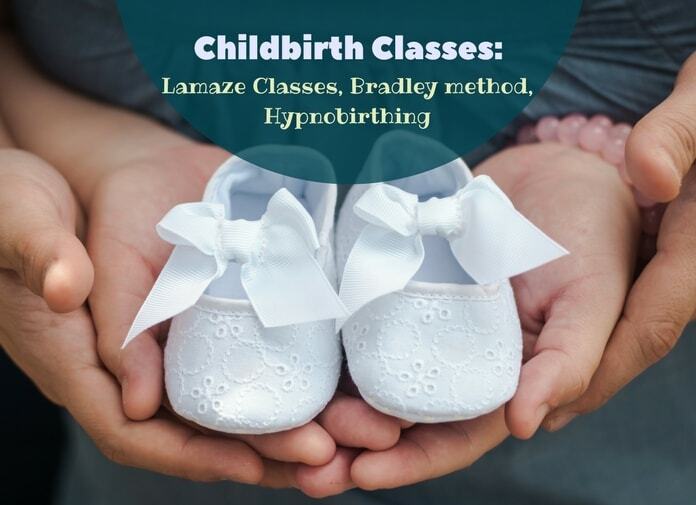 What do you learn in Lamaze classes? The entire course is of 12 hours and is in a batch of 12 couples. Expecting parents will get to learn A to Z about labor during their classes. You can find Lamaze classes near you by accessing their website https://www.lamaze.org or calling 800-3604404. How do you do Lamaze breathing? You have to start attending the class after seventh month of pregnancy. Each class will have a specific topic. The six topics are third trimester, special place imagery, Lamaze theory, active labor, pushing methods and a rehearsal. If you are not willing to join a group or be at the hospital then you can hire a childbirth educator. You will be able to learn about birthing in the comfort of your home. But there is a lot of risk as anyone can become a childbirth educator. You will have to do a lot of homework to find out whether the teacher is covering every aspect. Private classes can be as less or as much as you want. The same techniques such as breathing exercises and positions of labor are part of curriculum. It is ideal for those who like everything in the natural form. The technique focuses on natural delivery without the use of painkillers. Things taught during the partner coached method enable women to give birth without use of pain medications. Bradley method encourages active involvement of birthing partner. Pregnant woman learn to direct all their energy to the internal region. That is opposite of Lamaze method. A considerable number of women opt for the Bradley method. It is a 12 weeks course that teaches you a lot about every aspect. You will learn about harm of c section, importance of nutrition, and relaxation techniques. The doula or midwife will also get guidance during Bradley class. The widest range of topics and options taught during birthing classes are by ICEA. They do not restrict to encouraging natural birth. Instead there are a variety of options to choose for learning about. One of the most advanced pregnancy classes teaches pregnant women that you can conquer labor pain. They teach special ways to stop feeling any pain during labor. The method focuses on the importance of staying calm during labor. It even covers postpartum period problems and teaches how to manage each of them. Prenatal classes customised to meet specific needs of a couple make these perfect. Birthing from Within does not aim to get you deliver their way. Instead they help you find out what is your unique ability to give birth. They provide support throughout pregnancy, labor and postpartum period. The coordination of mind and body can make you achieve anything in this world. Alexander method helps you attain this coordination between mind and body. It is a very popular method amongst actresses. Women who learn the Alexander method easily give birth while squatting using pelvic muscles. You must confirm the following things before you finally join a birthing class. What are the different types of classes available? Do they have a refresher course for a second-time mom. Can you get two partners for a sibling class? What is the cost of birthing classes? What is the curriculum of prenatal classes? Are the pregnancy classes batch small or big? You can access these websites to find their educators nearby your house. Asking your doctor or relatives is also an option to find the right childbirth class for you. There are special birth centres which offer such courses. Some hospitals too give free childbirth classes. You can try one of them to decide whether you want more of it. There can be HOTs during the final exams that were not a part of syllabus taught in class. So prepare as much as you can without stressing out and be ready to experience the unexpected. Previous articleCervical Mucus After Implantation: How To Detect Implantation? Next articleWhen Do You Know You Are Pregnant?